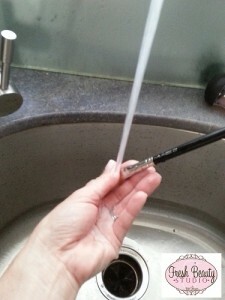 I am going to show you a step by step tutorial on how I wash my professional makeup brushes. 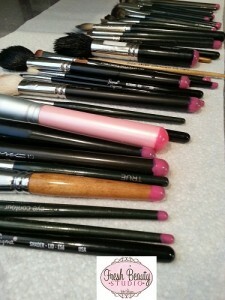 It’s important to clean your own makeup brushes a least once a month to keep bacteria and makeup build-up at bay. If you have any questions, comment below. 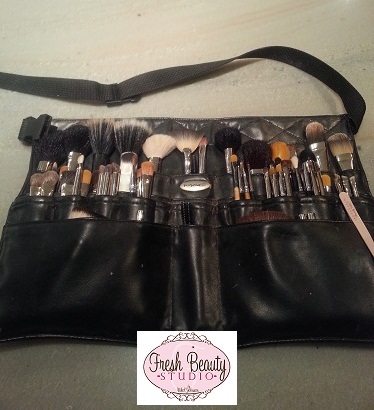 You can also see more of the brushes I use in my YouTube Beauty Tutorials CLICK HERE. 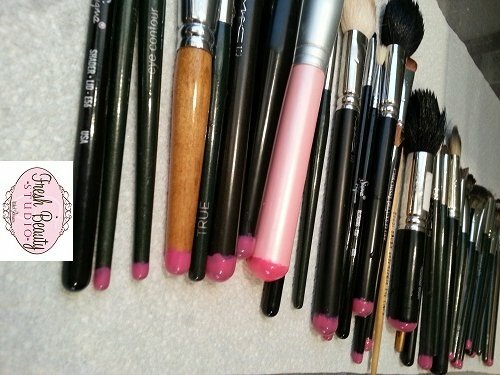 Take all your makeup brushes that need to be cleaned and lay them out. 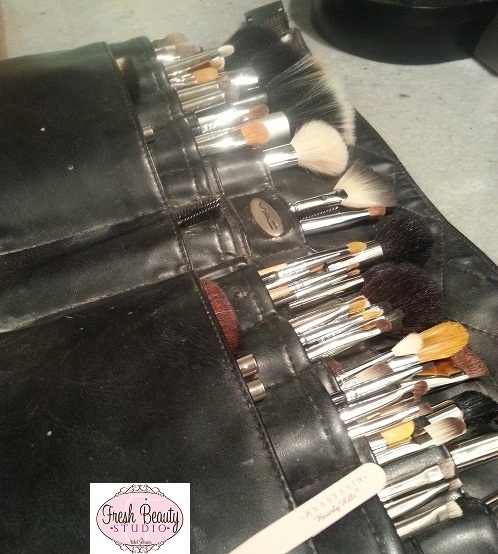 I have all my professional brushes in my brush belt, I laid mine out so that they stayed neat but didn’t miss any. 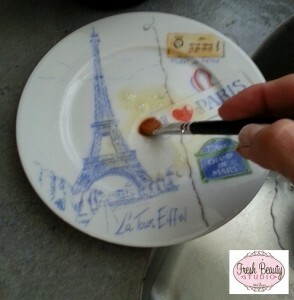 Washing your brushes-I used one of my favorite Paris plates to add the mild soap on for cleaning. Wet your only the hair on your brush, make sure to keep your brush hair facing down. You don’t want to get water in the ferrule (metal part of the brush which holds the hair in place). 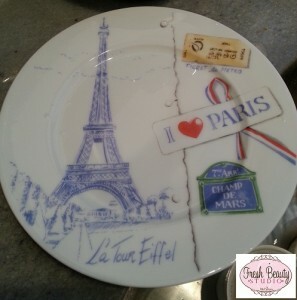 Drop a couple of drops of the mild detergent on the plate. Dip your makeup brush hair into the mild soap. 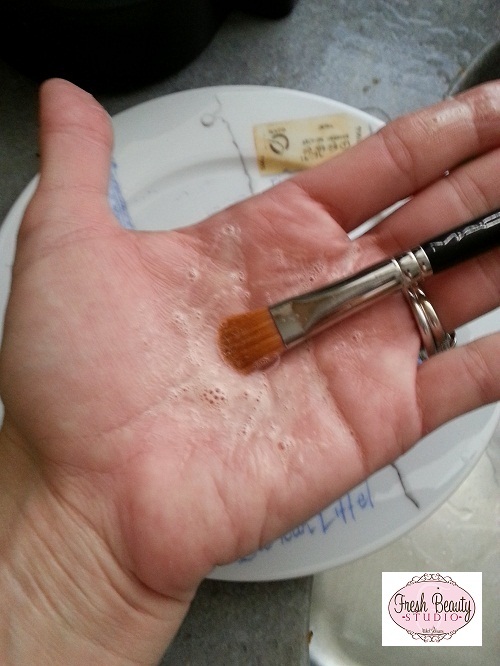 Take your brush with the soap on it and work it into the palm of your hand. You will see all the makeup being broken down. Rise your brush head under water. 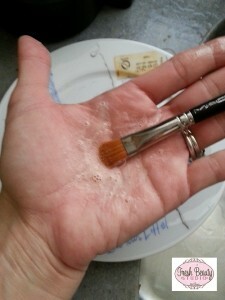 Squeeze out the extra water and shape your brush hair. 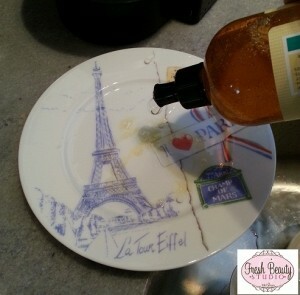 Lay flat on a paper towel and let dry completely. Place all your clean brushes back into your brush belt or makeup case.